Vannis 0456, originally uploaded by harmonweddings.com. 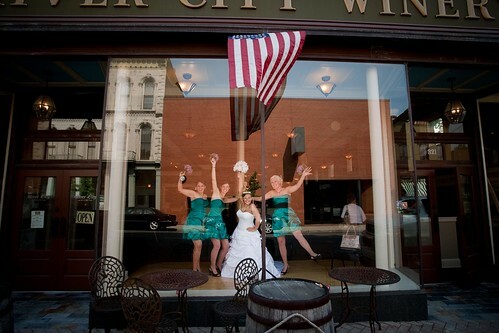 The Bride and her Bridesmaids took a stroll from The Grand to the River City Winery in downtown New Albany for a little tour and relaxation prior to the wedding. The winery offered a wonderful front window to get a little peek at what was going down inside.